There have been a number of reports in the press over the weekend which detail various clubs' net spend. The Liverpool Echo detailed Liverpool FC's overall spend on Transfers In, including contingent fees, and balanced it against monies received from Transfers Out, including loans. One particular loan transfer which caught the eye was that of Ryan Kent to Bristol City. Liverpool loaned Kent to Bristol City in the January 2018 transfer window and he spent the remainder of the 2017/2018 season on loan at the Championship club. However, it has now been reported that Bristol City are liable to Liverpool for a sum in the region of £500k as a result of certain 'penalty clauses' included in the loan agreement. Such payments are triggered in the event a loaned player does not play in a certain amount of matches for the loan club. Quite often (particularly Premier League clubs) will offer the loan club (often an EFL club) attractive terms with regard to the amount of the loaned player's wages that the loan club has to reimburse the parent club for. This encourages loan clubs to take a player on loan (often a young player who needs experience for development), whose wages the loan club could not normally afford, which then provides a valuable learning environment for the loan player, which the parent club hopes will help bridge the gap between the Academy and the First Team. Everyone's a winner? However, parent clubs will often insist that such favourable loan terms are contingent on the loan player playing in a % of competitive matches for the loan club over a specific period. If the player is fit and available for selection, and does not play, then the loan club will incur often not insignificant payment liabilities to the parent club. Ultimately this is designed to incentivise the loan club to play the loan player. Loans have been increasingly popular in recent seasons, and possibly even more so this season with the early closure of the permanent transfer window. Clubs will be well advised to carefully review all terms of the loan agreement before concluding a temporary transfer. Gone are the days were a loan transfer agreement is a mere basic and standardised document. Although the time pressure is on, the loan club should ensure that it is fully aware of the potential liabilities to the parent club and the loan club Manager should also be aware of the implications and they should be factored in to the decision to sign the player from a budget perspective. Perhaps a review of all summer transfer loan agreements might be a good idea! Bristol City's failure to start Kent last season is understood to have cost them around £500,000. 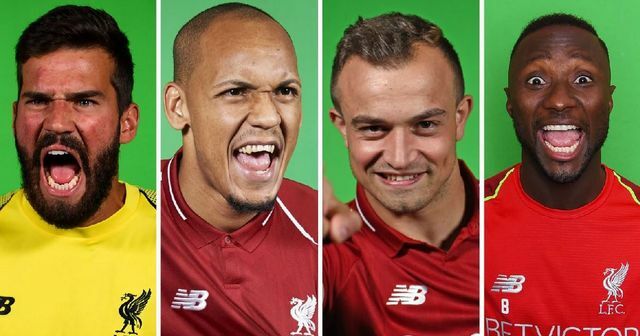 Liverpool paid out £160.85m on new signings this summer with £35.75m recouped in sales. Managers and their backroom staff take care! Time for a hugging policy?